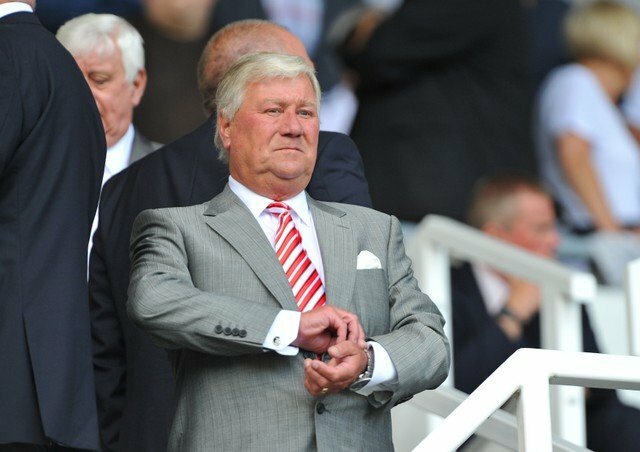 Rotherham United Chairman Tony Stewart OBE, says that the Millers are ‘still a work in progress’. Speaking to Andy Giddings of Radio Sheffield Mr Stewart said, ‘When Paul Warne took over we were more about recruiting young people who were going to be with us two to three seasons. And it’s a fantastic package they get here with Paul and his team who bring about a culture, training and a good life style. And during our time in League One we saw the Youth become men and got us into the Championship for the second time. ‘And we knew it was going to be a challenge but our ambition was to grind out our place in the Championship and retain it. Half the season has gone now and we are still fighting in there and it’s still work in progress. ‘We are still recruiting and I don’t know if it’s two or three more players we are going to get in. You can see that millions of pounds are being spent on an average player and we want to compete but we don’t want to commit that sin when you are going to throw good money yet not get the results that’s required. But by looking carefully, and not just in the UK, we see the players do exist. Some of our players before they arrived no one had heard of them but we’ve now got some very good players who are establishing a name because we’ve brought them through as a young contender and they are now being watched by bigger clubs. ‘We’ve never had a set budget. I’ve had a manager that had one hundred and two players in three seasons and they said Rotherham had no money. But I’ve had a lot of level headed managers who said they want value for money and I like to think that Rotherham United does give value for money. For players now we are talking about millions and there are clubs out there who will throw that sort of money at it and that doesn’t help other clubs because you don’t want to compete by just throwing big money without getting value. I had one player who cost me a million pounds in wages and he played five times, that’s not good, that’s not clever. ‘In this window we are getting some good players in with the management and recruitment knowing what they want and they are working hard to make us a better team. I think in the next few days things will start to appear. ‘I’m pleased that we are still here and that the ambition has never disappeared and I think it’s the best Rotherham has ever been, not where we are now, but where we are going. We know that when we were in the Championship before it was tough but we weren’t prepared. We are more prepared now and we’ve more points on the board. Like everyone else I want us to be better at the end of this season than we were at the beginning. That’s progress. Read Vital Rotherham’s last article How Do We Think The Millers Will Line Up Tomorrow. Wowwwwwww what can one say after just reading Mr OBE cigar chomping Tony Stewart and we are a work in progress, Bold words indeed and let’s hope come the end of the season the Millers have retained there championship status, personally i think the writing is on the wall for this season and will end with yet another step backwards to league one, Progress indeed Tony wouldn’t you say.